If you want to exchange your currency at the best available rates, then you have no better option than using TCE. With its online ordering system, it is not only convenient but it is also reliable and safe. 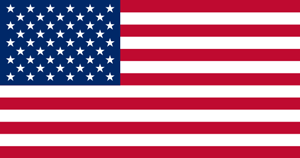 The United States Dollar sign is $, is abbreviated as US$ and referred to as Dollar or American Dollar. It is the official currency of the United States of America and its insular territories. It is a Federal Reserve Note and consists of 100 smaller cent units. It is the most used currency in international transactions and is the world’s primary reserve currency. Besides the United States, it is used as the sole currency in two British Overseas Territories in the Caribbean: The British Virgin Islands and Turks and Caicos Islands. TCE offers significantly better exchange rates than any other exchange bureau or bank in Canada. This helps the customers in saving money. Customers have the option of either picking up the currency directly from the store or have a home delivery. Home delivery saves time and is reliable and efficient. The package is couriered via Canada Post and reaches the customer within two business days. Our payment mode is safe and easy for all.